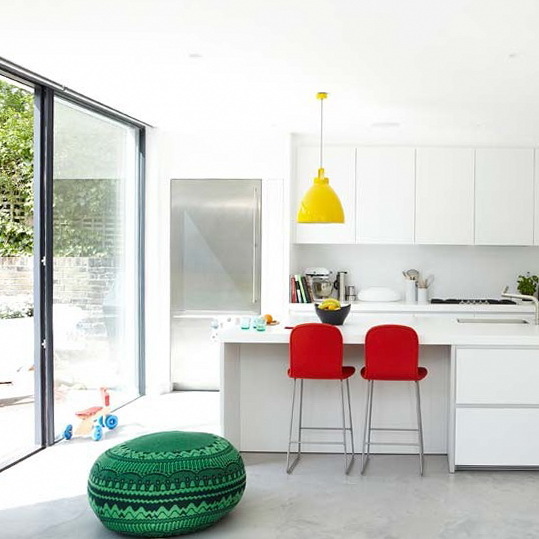 This modern kitchen is designed like a production line, no awkward angles or inefficient corner cupboards, just practical ideas such as a simple work surface that can be wiped from one end all the way down. 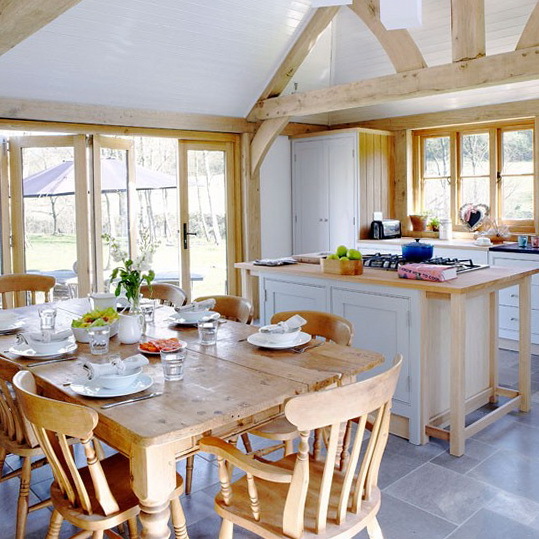 The central location of the kitchen island in this extension is perfect for entertaining while preparing food. 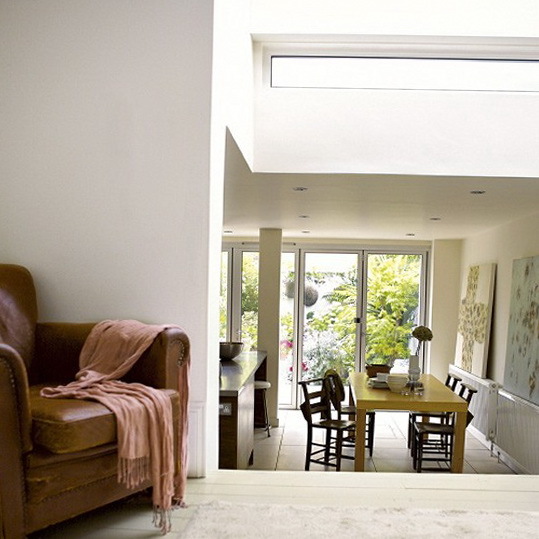 Light wells pull in loads of natural rays, and the tiny star lights – a departure from normal ceiling spots – are on dimmers to create different moods. 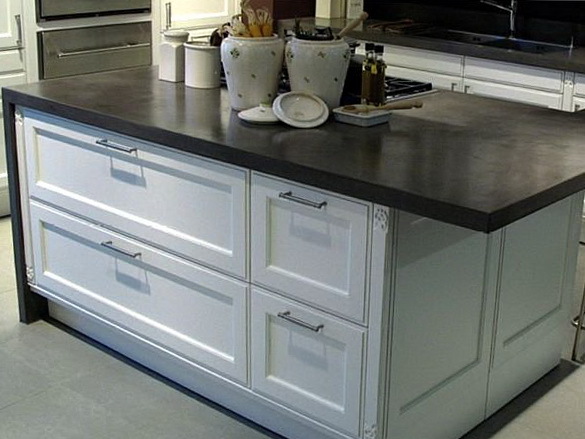 Resin flooring is tough, practical and ideal for high-traffic areas such as the kitchen. 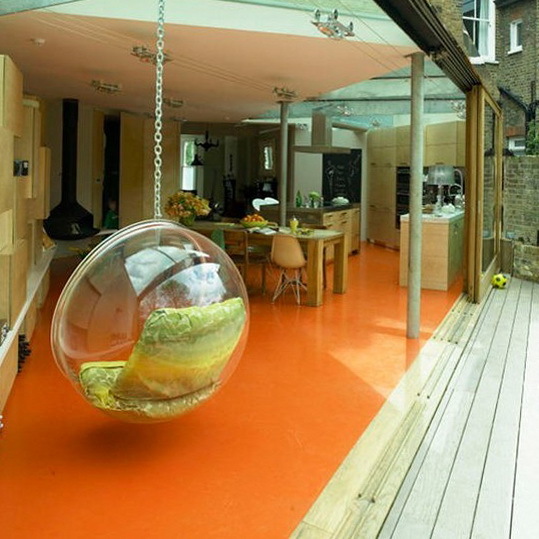 The rich colour makes a bold statement in this modern kitchen-diner, while a designer-style hanging pod chair provides the perfect place to relax while looking out over the garden. 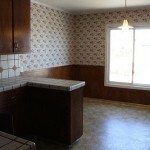 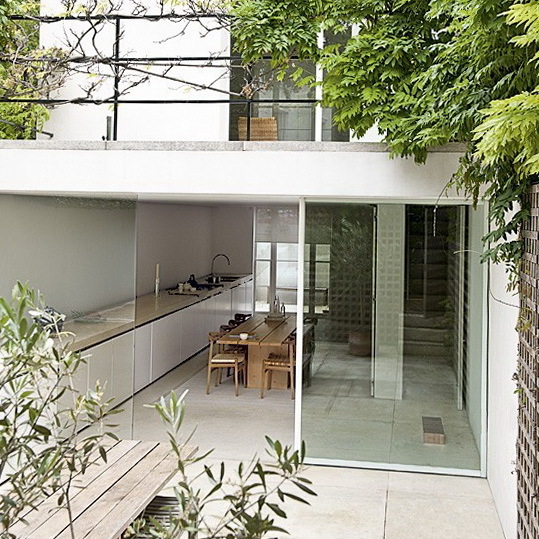 French windows opening out to the terrace flood this kitchen/dining room with light. 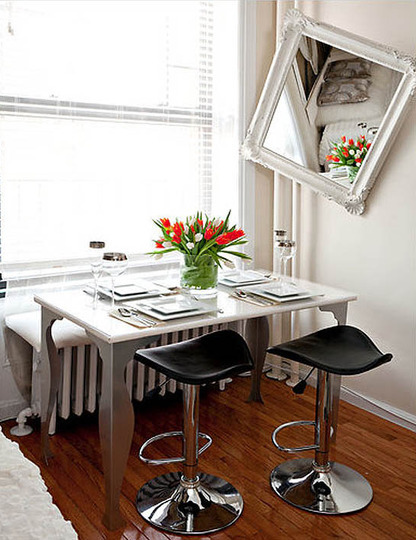 A white tiled floor, pale wooden table and four original church chairs found in a junkshop complete the uncluttered look. 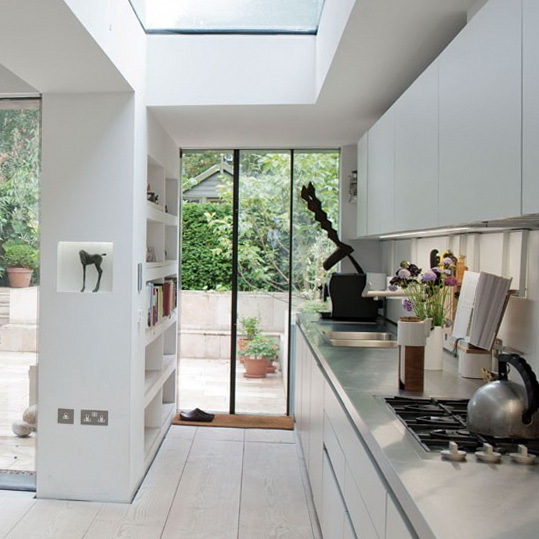 The glass roof and sliding glass doors to the garden perfectly complement the graphic feel of this kitchen. 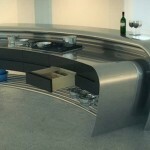 Stainless steel chairs and perspex cabinets add a contemporary feel. 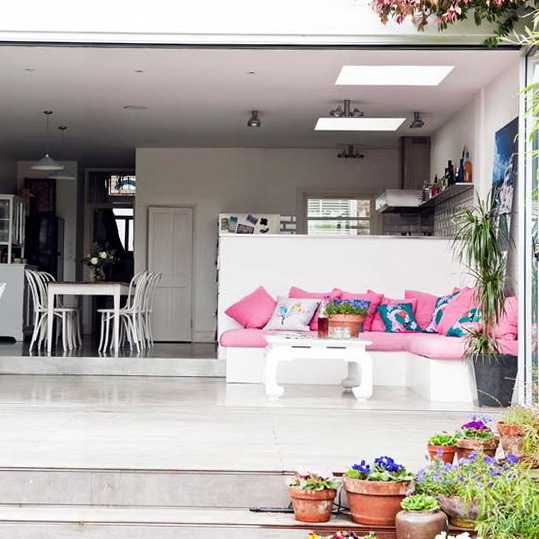 The entire back of this house has been transformed to create a huge open-plan living space where the whole family can work, cook and play. 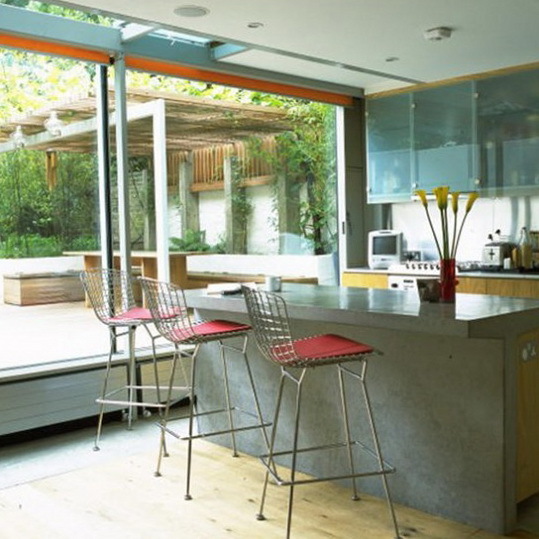 Folding doors enable inside and out to merge. 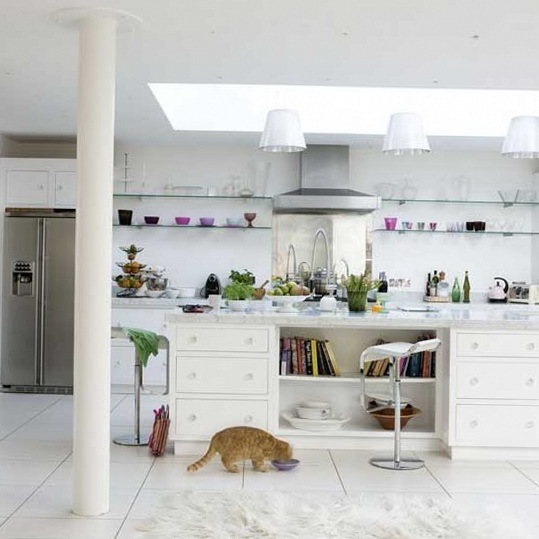 This all-white kitchen is brought to life with carefully chosen splashes of bold colour.